The Arizona Renaissance Festival offers several convenient ways to purchase admission tickets! Children under 5 are always free and parking is also free, courtesy of Fry's Food Stores. To help you plan your day take a look at our 2019 News of The Realm program, there is so much to see and do! Purchase discounted tickets in advance at Fry's Food Stores statewide. Click here to find a Fry's Food Store location near you! Easy and convenient - Print your own discount tickets NOW! Save $1.00 and avoid box office lines, no additional fees! Click Here To Get Started! Makes a Great Gift! You can always purchase your admission tickets the day of the event onsite at the Festival Box Office. $25.00 for active and/or retired adult military personnel and their spouses. Must provide military ID. Spouses must also present their dependent military ID. $15.00 for child dependents ages 5-12 of active and/or retired adult military personnel and/or their spouses. Children must provide dependent military ID. With so much to see and do, you just can not fit it all in one day! Become a Season Pass holder and save! Click here to learn how! Be treated like Royalty while you savor five courses of fine food, ample drynk, and enjoy one and one half hours of raucous Renaissance Entertainment at its best! Let the Feast Master's boisterous serving maidens and tavern knaves dish up a roaring good time! Click here for more details! Gather your friends and family for a fun-filled adventure! 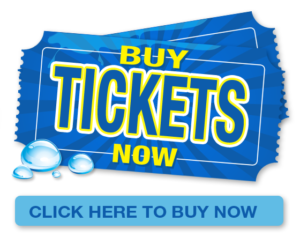 You can receive the best possible price on Festival admission tickets. Visit our Group Ticket Sales page for more information. Are you a representative of a large company or organization and would like to offer the best discount available to your employees or members? Entertain clients, reward employees, our E-Convenience Program is built just for you! Visit our Businesses & Organizations page to learn more.